Character. Cost: 2. STR: 2. 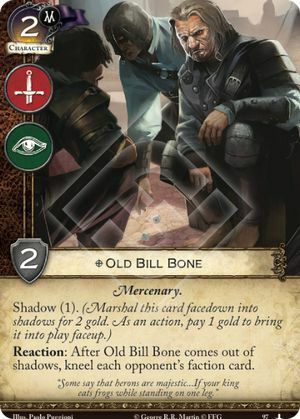 Reaction: After Old Bill Bone comes out of shadows, kneel each opponent's faction card. "Some say that herons are majestic... If your king eats frogs while standing on one leg."